Chilling, prophetic and hugely influential, The Time Machine sees a Victorian scientist propel himself into the year 802,701 AD, where he is delighted to find that suffering has been replaced by beauty and contentment in the form of the Eloi, an elfin species descended from man. But he soon realizes that they are simply remnants of a once-great culture – now weak and living in terror of the sinister Morlocks lurking in the deep tunnels, who threaten his very return home. 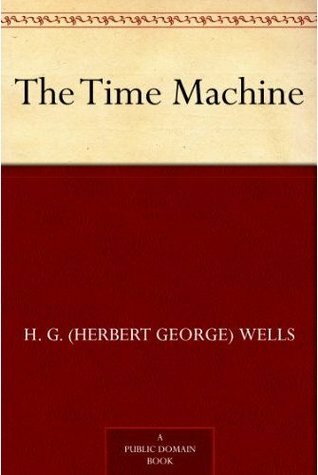 H. G. Wells defined much of modern science fiction with this 1895 tale of time travel, which questions humanity, society, and our place on Earth. Why Read: A long time ago… in the age of childhood, I used to love reading a style of books called “The Great Illustrated Classics”. They were fun books, classics made appropriate for kids when you had just graduated reading advanced chapter novels. The one thing about them that was sort of annoying as I began to reach a level where I could read the classics in their original format was… they had been abridged. So had I really read the Time Machine. Review: Without a doubt, reading the Time Machine was as fun as I had remembered it. There’s nothing more exciting than the easy joy when it comes to reading a book you half remember. The plot is the first time travel classics I’ve really had the opportunity to enjoy – and his combination of communism with future musings reminded me of the late 19th century mindset. The characters, whether we are speaking of the main “Time Traveler” or the unreliable narrator (because aren’t they always unreliable), were fun to move along with. Perhaps the Time Traveler himself was a bit one-sided and bias towards his normal age, but he makes up for that by acknowledging his shortcoming throughout the telling of his tale. His listeners, the Doctor or any of the others, are skeptics – but you have to expect that. From a plot perspective, the book was as classical as it was predictable. However, the differences between the Eloi and the Morlocks sent a small shiver up my spine, even with my hazy memories of the book to save me. That’s the mark of a good book, I believe. I suppose it’s not quite right of me to give the book 5 Stars though, despite the good things I have to say about it. There are always flaws in a book like this – and although they are a bit bias towards what I read, I wish there had been more background. I want to know more about the Time Traveler, or why his friends are so skeptical. Why is he researching this topic anyways? There are many unanswered questions that haunted my rereading, so in the spirit of that – I’ll resign myself to giving a hearty 4.1.